Thank you for attending Skate KC 2016. We want to give a special shout out to all of the skaters, parents, coaches, officials, event center, patrons, volunteers, and vendors who made this event happen. Each year we present three distinctive skating awards at Skate KC. The tentative schedule is posted. Please check entryeeze. 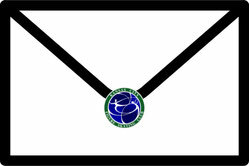 It is our goal to publish the tentative schedule by midnight, March 8, 2016. We have updated the announcement to include all the details about the National Solo Dance Series. 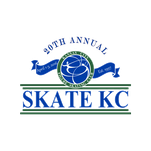 Skate KC registration is now open! Register now (through EntryEeze) by clicking on the button above. Skate KC has been named as a National Solo Dance Series qualifying event. As soon as the 2016 series information is available, we will post details and update EntryEeze. NEW THIS YEAR: We are IJS events for Spins & Step Sequences. Pre-Preliminary thru Senior Spin events and Intermediate thru Senior Step Sequence events will use the IJS judging system (see announcement for details). As well, we will also host a test session during the competition, however, dates and times will be determined following the close of entries. 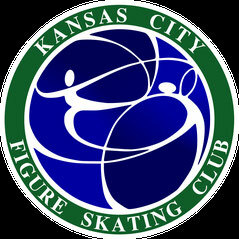 Don't forget to order your Skate KC merchandise! Programs and good luck (personal) ads can be purchased ahead of time at a discount. We have enabled uploading music through EntryEeze - competition music for all events (that require music) must now be submitted electronically via the online registration system by March 12, at 11:59 pm. We have several hotel room blocks available for Skate KC. Please make your reservations early, as there are a number of events going on the weekend of the competition and hotel rooms are limited. Ask for the "Skate KC" rate. Rates are not guaranteed after the cutoff dates listed below. Full complimentary hot breakfast buffet served. 2016 Skate KC will be held at the Silverstein Eye Centers Arena (formerly the Independence Events Center) located at 19100 East Valley View Parkway, Independence, Missouri.